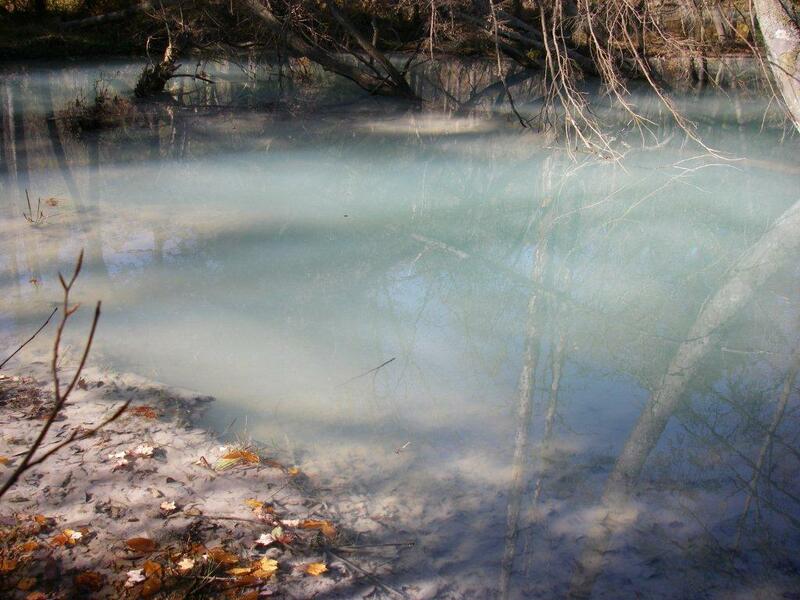 Abandoned Mine Drainage (AMD) is formed when pyrite comes in contact with oxygen and water. Pyrite is a mineral that is also known as “Fool’s Gold”. Pyrite glitters like a thousand tiny mirrors and is found in the ground with coal. When mining coal, pyrite is also left out in the open. Water then comes in contact with the pyrite and becomes polluted with acid (low pH) and metals. A more detailed explanation can be found on the AMR Clearinghouse. The local rocks underground in the area can affect how polluted the water will be. At some sites limestone is present in the ground. Limestone is an alkaline rock composed mainly of the mineral calcite (CaCO3). This mineral is what neutralizes acidity (H+). Limestone will dissolve in the water and neutralize the acid from the AMD. 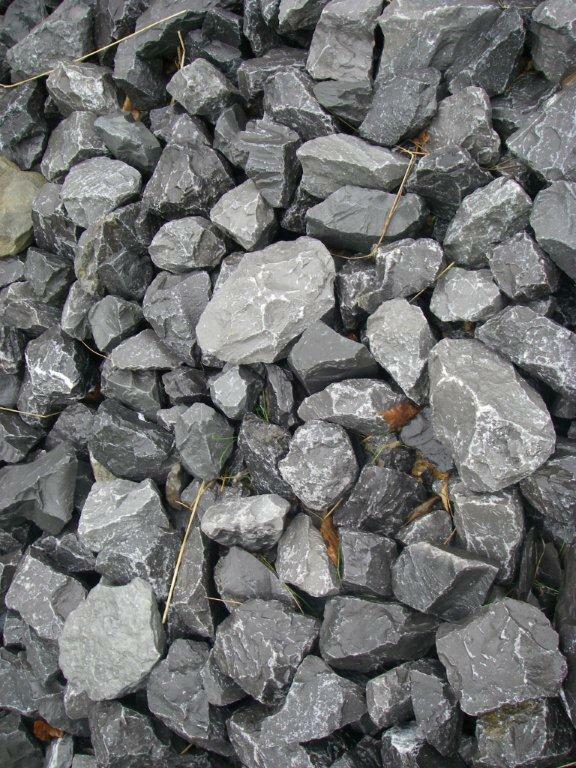 In most cases in Clearfield County there is very little limestone where mining has occurred. Acidic water then dissolves various metals from the rocks. The metals that are the biggest concern are iron, aluminum and manganese. Sulfates are also formed during the reaction. Most of the AMD found in Clearfield County is acidic. 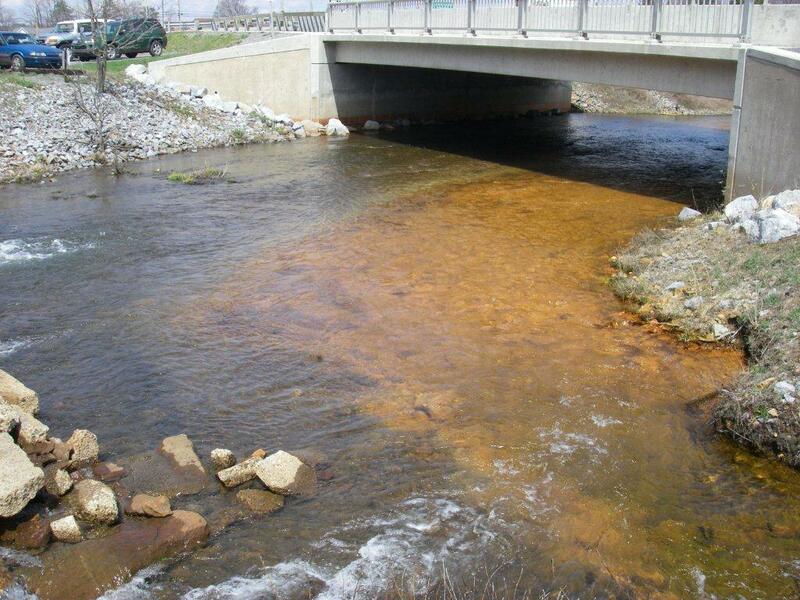 There are three main metals from AMD that pollute the water: iron, aluminum, and manganese. Iron stays dissolved in water until exposed to oxygen and the pH must be at least 3.5 for it to form as a solid. Iron will have a red-orange color. Aluminum only requires that the pH be above 5.0-5.5 in order to form a solid. Oxygen is not needed for this metal to become a solid. Aluminum will have a white color. Manganese requires that the pH be above 9.0 to form a solid. It is very difficult to reach this pH with limestone found in passive treatment systems. It is black as a solid. See "Is Your Stream Polluted?" for explanation on various water quality terms.